Run every year since 2018, the American Government Employee Survey (AGES) is the largest survey of federal government employees conducted by political scientists and involves multiple research projects from scholars at universities across the U.S.
Each iteration of the survey includes different questions. In 2019, the survey is focused primarily on obtaining information about how the partial federal government shutdown affected government workers. Click here to learn more about the 2018 AGES. The purpose of the survey is to better understand the officials who are "street-level" bureaucrats. Unfortunately, scholarly work on American politics overlooks government employees. ​One reason for this oversight is the difficulty of gathering quantitative data about government employees. 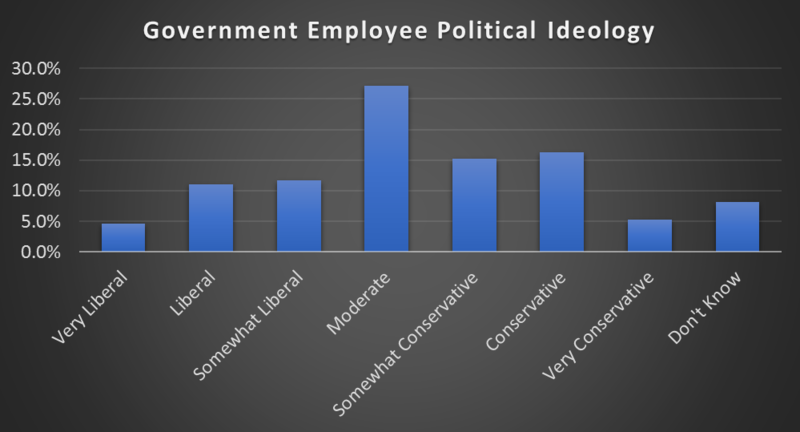 The American Government Employees Survey fills this void and brings the study of street level bureaucrats to the forefront of political science, public policy, and public administration research. Researchers from Across the U.S. The American Government Employees Survey was begun in 2018 at The University of Notre Dame and BYU-Idaho by Professors Gary Hollibaugh and Matthew Miles. The survey has involved many different projects from political scientists at universities across the U.S.
• Symposium on Behavioral Approaches to Bureaucratic Red Tape and Administrative Burden. Immediately after the Federal government re-opened, we recontacted participants from the 2018 survey to quantify how they were affected by the longest government shutdown in U.S. history. More information on this available here.